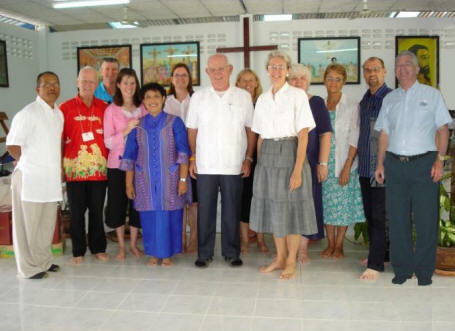 Christian Mission of Naratchakwai (CMN) was conceived by God through his visionary servant, John Middlewood, an Advent Christian from North Carolina, USA, and helped by his faithful wife, Wipada “Maeo” Kaewbhudta, and others. John started CMN in 2004 in the rice fields of Ban Naratchakwai. Having no church building at that time, CMN used an extension room on the ground floor of John’s house as its first gathering place of worship. When many visitors were expected to come to church, what is now John’s car garage was used as the place of worship. 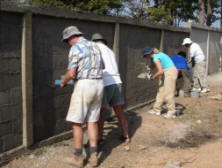 In 2006, largely through sponsorship from New Zealand, the mission built a separate Worship Centre on land adjacent to the Middlewood’s home. 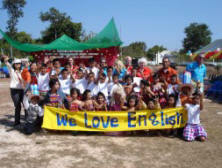 At the end of that year, and into 2007, a New Zealand-led Work Team, including team members from USA and the Philippines, sponsored and built a concrete block wall around the mission’s grounds and participated in English-teaching programs John runs within schools in and around Naratchakwai Village.